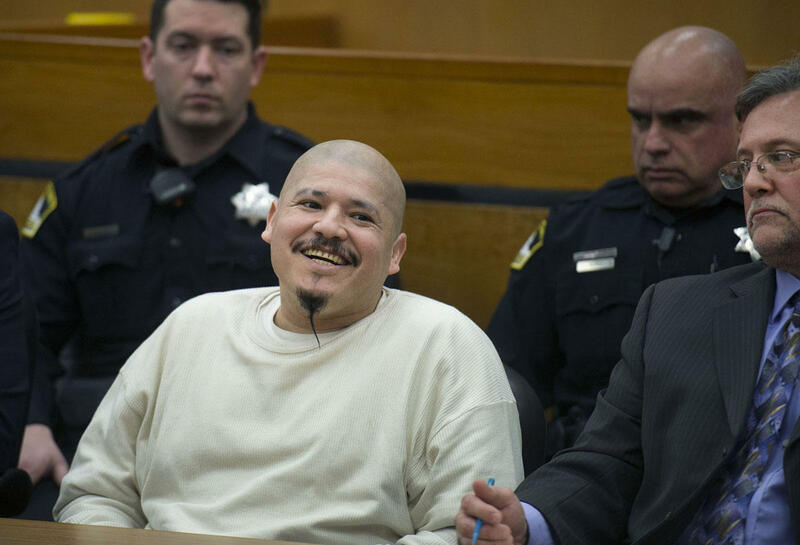 SACRAMENTO, Calif. - After four hours of deliberation Tuesday, a jury recommended the death penalty for a man who repeatedly entered the United States illegally before killing two Northern California deputies. Some of the jurors left the courtroom in tears, reports CBS Sacramento. Luis Bracamontes, who is a Mexican citizen, was found guilty of murder in the 2014 shootings of Sacramento County sheriff's Deputy Danny Oliver and Placer County sheriff's Detective Michael Davis Jr. He also was convicted of attempted murder, carjacking, weapons violations and other crimes. During a number of profane outbursts at trial, Bracamontes admitted to killing the officers and threatened to kill more. He looked toward relatives of the slain victims as he was removed from the courtroom mid-rant, prompting a renewed request from his lawyers to allow him to plead not guilty by reason of insanity. As the jury read its verdict, Bracamontes grinned. Sacramento Superior Court Judge Steve White will deliver a formal sentence April 25, according to The Sacramento Bee. Bracamontes smiled and silently clapped his hands as the jury's sentencing recommendation was read, the Bee reported. "He's a coward," said Phyllis Sylvia, Oliver's sister. During the trial, he was removed from the courtroom repeatedly for profane outbursts. When his guilty verdict was read, Bracamontes said he would "kill more cops soon." Republican President Donald Trump featured Bracamontes in a January ad accusing Democrats of being "complicit" in the slayings of law enforcement officers by people in the U.S. illegally.